A couple of days back, someone asked me if I have worked with CQRS and ES. And honestly, I had no idea what that person was talking about. I quickly got in front of my laptop and started my quest of learning about these things. CQRS stands for Command Query Responsibility Segregation. It is a programming principle that was originally introduced by Bertrand Meyer during his work on the Eiffel programming language. In simple terms, CQRS states that everything in our code should either be a command that performs some action, or a query that that returns some data to the caller. CQRS provides a clear separation of concerns. The command can only change the application state and the query can only get the state to the user. ES here stands for Event Sourcing. In event sourcing, the changes made to the state are stored as a sequence of events, where each event describes a change made to the application state. Both ES and CQRS are most often grouped together. By applying event sourcing above CQRS, we can easily persist each event on the command side of the application. The query side of the app can then be easily derived from the sequence of events. After getting a basic understanding of what Event Sourcing and Command Query Resposibility Segregation are, I set out to look for something that could help me easily build applications using these interesting principles. That is when I came across reSolve! 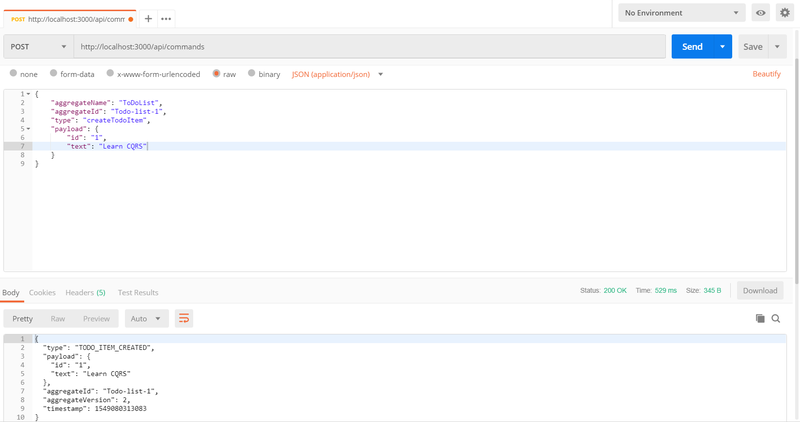 reSolve is an awesome new framework for building apps based on CQRS and ES. In this post, I will show you how to get started with building applications with reSolve. Tip: Use Bit to share and reuse React components. Create a collection you and your team can share, and use the components to build new apps faster. Try it. As mentioned before, the write side of the app handles the commands and emits events that are then saved to the event store. Command handlers — Handles commands and emit events in response. Projections — Used to build aggregate state from events. Let’s start actually start working on our app by building the App’s write side. In this post, I am going to create a simple Todo app. To create an aggregate for this app, we first need to think out about the types of events that aggregate will produce. I can think of only two for now — An event where the Todo List is created, and another event where the actual Todo is created. Here we are exporting an object that contains two command handlers — createTodoList and createTodoItem. Each command handler receives the state and a payload. The createTodoList command contains the name of the Todo list as payload, and the createTodoList command contains a Todo item’s id and the task as payload. To verify if our aggregate is working or not, open POSTMAN and send the following POST request to localhost:3000/api/commands. We can see here that the command handlers are working. But how we know if the data is getting stored in the event store? In your app’s root directory, open the file named event-storage.db, you will see all that there is a record of the event of Todo-list and Todo-item being created is stored there. We can create multiple lists with the same aggregate-id. We can also insert todo-lists inside lists that don’t even exist. To solve these issues, we need to store the some data about previously performed operations. This is where the state comes in. The state is created by an aggregate projection instantly. Lets create a projection inside a new file named todolist.projection.js inside the common/aggregates folder. Till this point, our app can create data entries by sending commands to the backend. We now need to write some code that will allow us to fetch that data back. We will start by creating a View model. A View model can build the our application’s state instantly, helping us keep the implementation easy enough to get right on the first try. And that&apos;s it! We are done building the Write and Read Side of the App. All that is left to is present it all on the application, A.K.A FrontEnd. In this section, we will see how to build the frontend of the app using React and display the Todo-List in the app. In the client/container folder, create a file named TodoList.js and write the following code inside it. One of the core features of any Todo App is the ability to mark the items as completed or notcompleted. Currently, the only Todo in our app is Learn CQRS and it is marked as not completed by default. Let’s add some code that will allow us to toggle the Todo’s as completed and not completed. Next, we add the following code to the View Model inside the common/view-models/todolist.projection.js. Don’t forget to import the TODOCOMPLETED type into this file as well. Our backend is now ready! Next, we need to work on the user interface. We have already connected the TodoList to the reSolve View Model, using which the component’s props already include an array of action creators that will dispatch actions on the client and send the corresponding commands to the app. We can then use completeTodoItem to handle click events on the checkbox. We can now mark the Todo item as completed or not completed. Next, we will see how to use the createTodoItem function to add new Todo Items. In the TodoList.js file, write the following code inside the component and below the ListGroup section. And That’s All! Our ToDo App is Ready! I would also like to mention that the View Model is reactive. Since it is using redux reducers, it can be updated in real time by applying events. resolve-redux receives the events through websockets and updates the View Model. Meaning if you open your app in two browsers and make some changes in one, it will be automatically updated in the other browser instantly! By following the CQRS principle, developers can avoid making their app’s unnecessarily complex. The main benefit of following CQRS principle is that it allows us to create a simpler model by separating queries and commands. CQRS is an exciting new approach to building apps, and reSolve provides us with an easier and simpler way to do so. 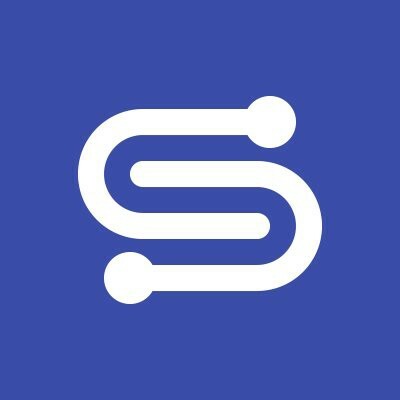 Be sure to check out this amazing framework! I enjoyed playing around with it while writing this post, and will be sure to write more posts on reSolve in the near future! Thanks for reading this long post! I hope this post helped you understand CQRS, Event Sourcing and reSolve framework a little better. If you liked this post, then please do give me a few  and please feel free to comment below. Cheers!